Is there a such thing as an amateur foreign policy person? There are amateur astronomers, radio operators and athletes, so why not someone who discusses foreign policy as a hobby? Well that someone is me! Welcome to Foreign Policy with Jam Stunna. I spend hours every week listening to and reading about foreign policy because I find it interesting. You might not, and understandably so. Therefore, my goal here is to explain what can sometimes be complicated subjects as simply and straightforward as I can. I’m no expert though, so think of these posts as a starting point for your own research. And please, if you see a mistake in these posts, let me know so that I can fix it. 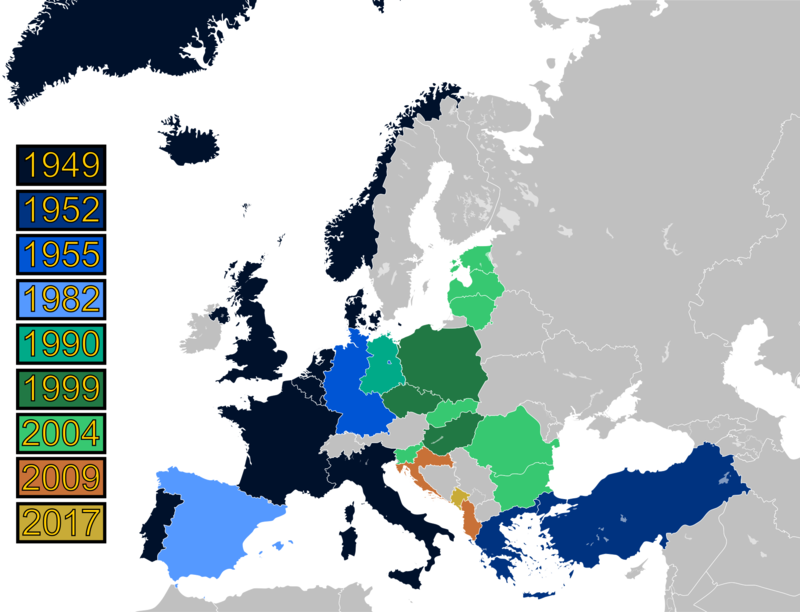 Today, I’m going to talk about the North Atlantic Treaty Alliance, known by the abbreviation NATO. We’re going to hear a lot about NATO in the next few days, as President Trump is meeting with the other members of the alliance this Wednesday. Much was made of Trump’s visit to the NATO summit last year, where he was described as being tough on our friends. But what is NATO? In short, it’s a political military alliance between the United States and twenty eight other nations primarily in Europe (with the exceptions of Canada and Turkey). It began in 1949 with twelve members, and has grown at a steady pace since. 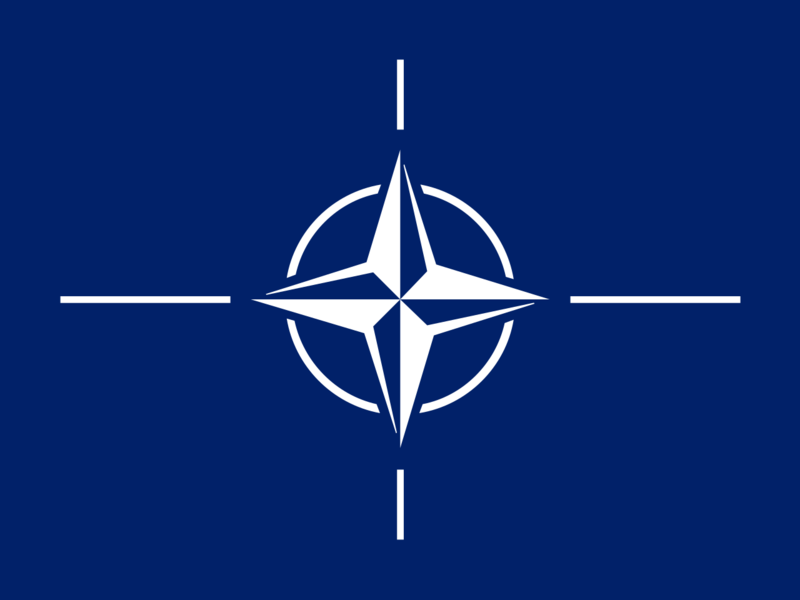 According to NATO’s website, “NATO’s purpose is to guarantee the freedom and security of its members through political and military means.” However, the purpose of the alliance was described more colloquially by General Hastings Ismay when he said that NATO’s purpose was “to keep the Russians out, the Americans in, and the Germans down.” In 1949, Germany had just been the major antagonist in two World Wars, and the Cold War between the United States and the Soviet Union was only months away with the Russian’s detonation of their first nuclear weapon. The purpose of NATO was basically to either prevent another major land war in Europe, or decisively win such a conflict. There were many mechanisms for achieving this goal, but the primary tool is known as Article 5, or the collective defense of NATO members. According to Article 5, “Collective defence means that an attack against one Ally is considered as an attack against all Allies.” While the Article was drawn up with the idea of Russian tanks rolling across Europe, Article 5 has only been triggered once in NATO’s 69 year history: after the attacks on the United States on September 11th. The use of Article 5 against terrorists in Afghanistan brings us to the major challenge of NATO today: what is its mission? The Cold War is over, and Germany has been reunified. For what purpose are we keeping the Americans in now? It’s worth noting that NATO membership nearly doubled after the end of the Cold War, adding 13 member nations to the 16 in place when the Soviet Union collapsed. Experts differ on what the effects of this expansion have been: some argue that it has increased tensions in Europe, while others say the Russians would be up to no good anyway. Trump was skeptical towards the idea of NATO while he was campaigning for president, and has carried over that skepticism to his interactions with treaty allies since his election. He will bring that attitude to the nearly 70 year old alliance’s summit meeting on Wednesday. Where the alliance will go from here is anyone’s guess, and the topic of a future post. 1 Trackback to "Foreign Policy with Jam Stunna: NATO"